1861. Cara has a simple mission in London - finalise her father's estate and sell off his damned collection of priceless artifacts. Her plan goes awry when a killer stalks the nobility, searching for an ancient Egyptian relic rumoured to hold the key to immortality. Nathaniel Trent, known as the villainous viscount, is relentless in his desire to lay his hands on both Cara and the priceless artifacts. 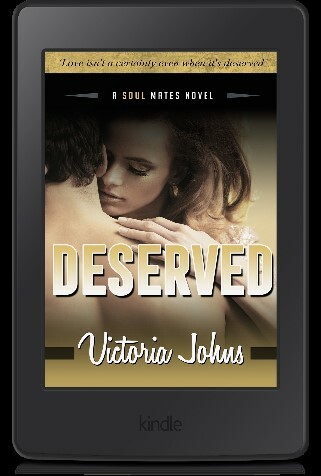 His icy exterior and fiery touch stirs Cara's demons, or could he lay them to rest? Self-preservation fuels Cara's search for the gem known as Nefertiti's Heart. In a society where everyone wears a mask to hide their true intent, she needs to figure out who to trust, before she sacrifices her own heart and life. 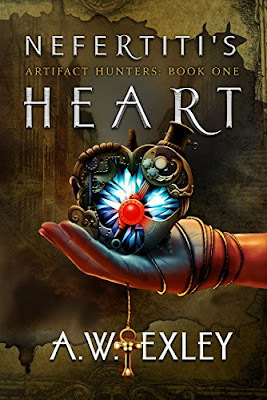 This is the first book in The Artifact Hunters series. I have been wanting to read this book for some time, but due to my large reading list haven't been able to do so until recently. Cara Devon is a character I found likeable, but did want to do her some physical harm when she made impetuous decisions that put her life on the line. She also rushed into a relationship with the viscount, even after being sexually abused for years. This aspect I found most unbelievable, considering she was uncomfortable even hugging an old childhood friend. She is a young woman living in Victorian London. She returns to her deceased father's house with the intention to sell off his collection of artefacts he had acquired. One of the artefacts is rumoured to be Nefertiti's Heart, a gem of immense power reputed to give the owner immortality. Unfortunately, there's a killer after the artefact too and Cara soon finds herself facing some hard choices - continuing to run from the killer, or being helped by Nathaniel Trent, a viscount and a pirate/businessman/crime lord who wants the artefact for himself. As I said above, I have been wanting to read this book for some time, so when I started reading I was very excited. The story is told through the eyes of both Cara and Nathaniel, though mostly through Cara's. The story started off strongly, with danger around every corner, which kept me hooked. Then the story took a more sedate turn about half way in and somehow lost the immediacy when the two main protagonists became more romantically involved. I'm not saying this was a bad thing, only that the story flow seemed to slow down and it focused more on the romance side than the adventure/action one. I still found myself riveted to the story, but it somehow became more predictable and when certain events happened it felt inevitable. I love a good plot twist that surprises me, but I could see more than a few of them coming from a mile away, even the revelation of who the killer was. This dampened my excitement over the story somewhat. I reached the end of the book with mixed feelings. I love reading books in the steampunk genre and feel I don't read them often enough. However, I feel the author did a wonderful job in bringing the characters to life, as well as the Victorian past. So why the low rating? This is because although I enjoyed the story, I didn't feel any emotional attachment to the characters. Other readers may have a different reaction, so I will leave it to you to decide whether or not to give this book a try. 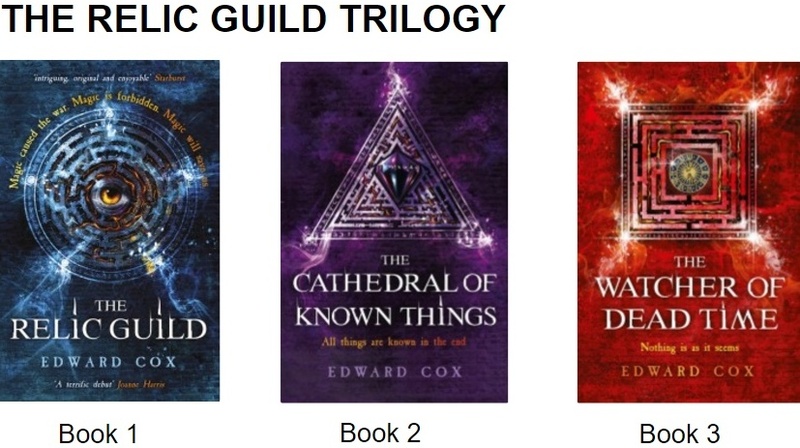 As for me, I am considering reading the remaining books of the series, though due to my large reading list it could be some time before I would be able to. A.W. 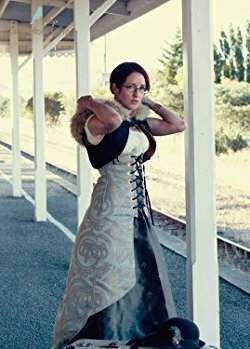 Exley has written a wonderful steampunk romance/adventure that kept me hooked from beginning to end. I loved her fast paced writing style. Though the pace slowed down half way through, I thought the flow was wonderful as it flowed easily from scene to scene. Books and writing have always been an enormous part of Anita's life. She survived school by hiding out in the library, with several thousand fictional characters for company. At university, she overcame the boredom of studying accountancy by squeezing in Egyptology papers and learning to read hieroglyphics. 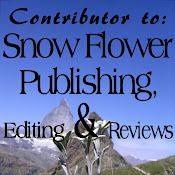 Today, Anita writes fantasy historical novels with heart from her home in rural New Zealand. Rebecca Monroe hasn’t had the best life, but since she escaped and started again with a new identity, she’s been working hard to be a normal college student and make something of herself. Turning her passion for dance into her dream job is nearly a reality, until someone from her past threatens it all and Rebecca finds herself on the run. Jake Griggs has got it all. A loving family, a college education and more women than he knows what to do with. A bad case of mistaken identity threatens to blow his easy life wide open, until his brother Jonas sends him on a job to observe, report and protect a young woman he’s pledged to keep safe. There’s just one condition – Don’t get too close. What should be a simple mission, turns into a roller coaster love story as both Jake and Rebecca realize that just because you’re existing, it doesn’t mean you are alive. 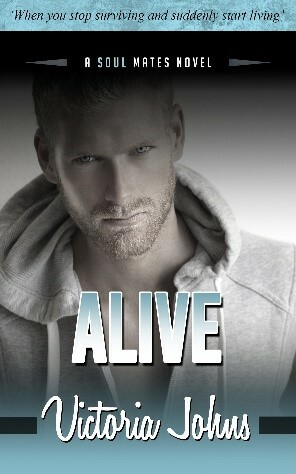 Alive can be read as a standalone novel but is also the third instalment of the Soul Mates Series and if you loved the characters of the Soul Sisters Series from Hawkstown then this book will definitely set you on fire. The Mischaps ride again! Actually, they sail again. Into a dimension far, far, far away where you can’t find it. Why can’t you find it? Because the dimension is lost. Yes, the Mischaps sail into The Land of Lost Directions. But guess what they find there? A prophecy! Yes, a prophecy about them! What does the prophecy say? What does it mean? Can the Mischaps discover the secret of fulfilling the prophecy…and destroy its evil, dangerous, stinking curse? This is the third book in the Ahoy, Mischaps! series. I absolutely loved it! I usually do character breakdowns in my reviews, but I have a little trouble doing this for the main character, who narrates this story in the style of Hitchhikers Guide to the Galaxy, as she actually doesn't have a name and is only known as The Narrator. However, we join Sir O Yuri Wiseguy-eh and well known Pukelitzer prize winning journalist, I.B. Nosy on another zany adventure, this time in the Land of Lost Directions. 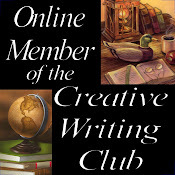 This story has a fantastical plot, which kept me hooked from beginning to end. There are several references and play on words that would go over a child's head, but adults would pick them up with ease. 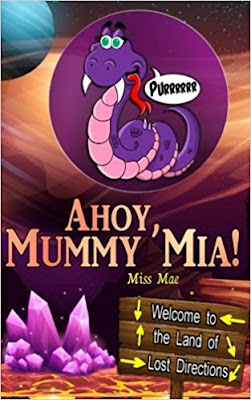 The Mischaps gang find themselves lost in the Land of Lost Directions, where a greedy and ambitious cat called Mia has placed a curse on Gum Drop chocolate, turning it into mud. Or has she? In order to break the curse, the Mischaps have to fulfil a prophecy. Let the adventure begin! This is a story full of adventure that is so nonsensical and humourous, I found myself highly entertained. There are some old faces from previous books that appear in this tale. There's Moose, the chocolate loving plantation worker; Heathcliff, a possum who happens to be a fantastic detective (a secret is revealed about this character in this tale); Speck and Spang, two eagle-eyed vultures, and Spit, a small purple snake with the largest set of eyelashes known to adorn a snake. The reader is also introduced to some brand new characters, ranging from a crocodile called A. Buncha Crock to a swamp rat called Louie, who wants to be a pirate, and a chef called Chef Mac A. Roni. We also get to meet a Mummy named Ralph, and Dr. Ag. O. Nee and his Igor assistant Mandibles tumble into the adventure too. I found myself turning the pages in an effort to find out what happens in every chapter, which is introduced by the narrator and is told in such a witty and engaging way that I found myself smiling even through the dangerous parts. I could picture the scenes in my mind's eye with ease. I didn't see the scenes as live action but as an animation though. I think this would make a fantastic children's animated movie, along with the other two books. I reached the end of the book with a bittersweet feeling; I didn't want it to end. However, I think there's another adventure on the way as the story ends in such a way that, although not a cliffhanger, it infers that it will continue. I can't wait! I am not sure what age range this book is aimed at, but I sat with a smile on my face for most of the story. This story, however, would be ideal for children to listen to at bedtime. Miss Mae has written a wonderfully imaginative story that will enchant adults and children alike. I love her writing style, which is fast paced enough to keep even the most fidgety youngster enthralled, and the flow was wonderful. I am a huge fan of Miss Mae and I will be keeping an eye out for more of her books in the future.